But I think one of the best style of lists that is fading into obscurity is the sentimental playlist. One you put together for your significant other, a sibling, a friend that is moving away; we need more playlists that carry emotional weight! I was cleaning out my old bedroom at home a couple weeks ago and stumbled upon all kinds of playlists: Valentine’s Day, birthday, Christmas, wedding, you name it. CDs (remember those?) that all told a story about a specific moment of time and the person associated with them. The songs form a sort of narrative, each one chosen specifically and with intention. Lost in revelry, I couldn’t believe my good fortune that I still had these. 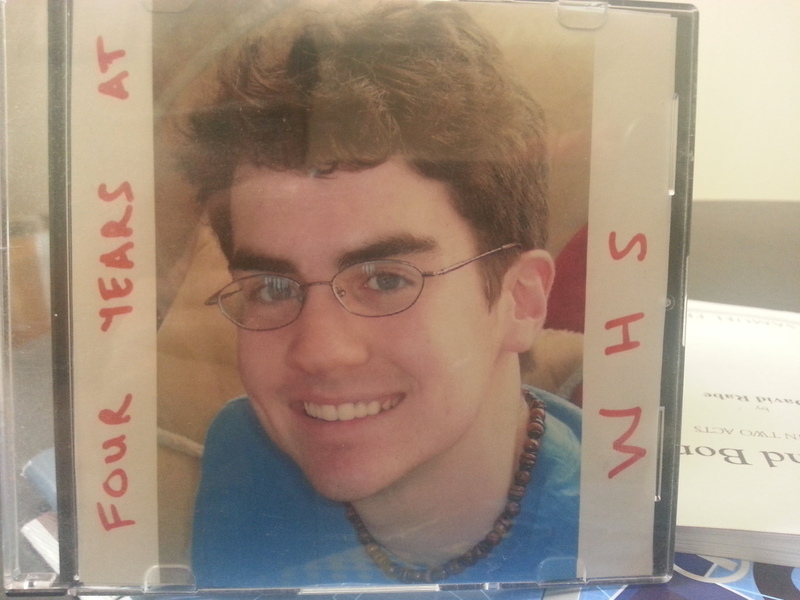 Then, the Holy Grail: Four Years at Warwick High School (WHS), a personalized CD my oldest brother Cullen made for me when I graduated high school. Songs that haven’t been mainstream for 10+ years (or, for some, ever). I love the story this playlist tells. Now go make your own playlist that tells your story. Just make sure Black Eyed Peas make some sort of appearance. “Hats Off to Larry” by Del Shannon would be #1 and then, of course, every song ever recorded by the Black Eyed Peas would complete the rest of the list, if they made enough songs.